"Good dressing isn’t necessarily rocket science. Remove a collar from a shirt and what do you have? A less formal shirt, of course. On their own or underneath a jacket, our collarless shirts form the basis of a modern understated off-duty look. Leave the complicated stuff for your morning crossword." 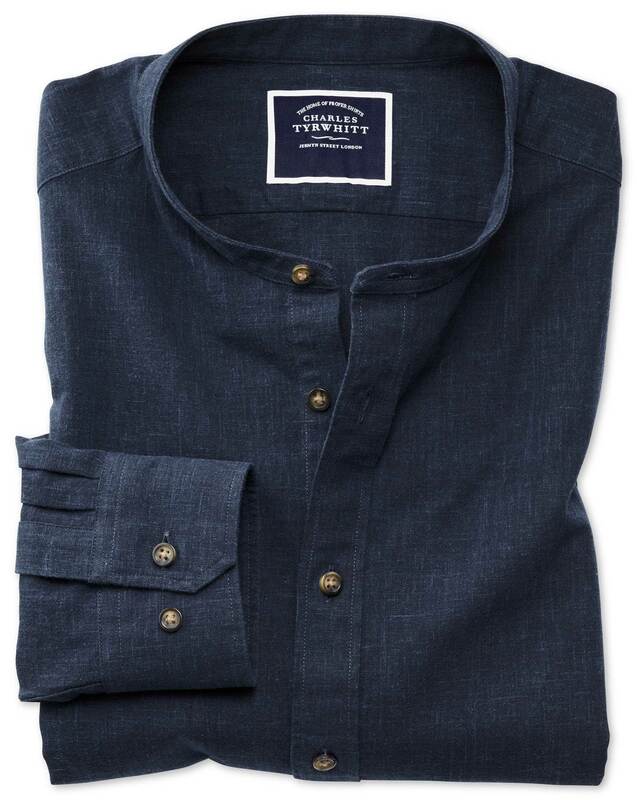 "This classic collarless shirt: smooth, lightweight and laid-back." Very good actually. I already have this shirt in blue and like the style, material and fit. I had thought about it in white and decided against it due to an overspend during the Christmas break. However, I saw it advertised on Facebook at a very good price and decided it was worth the purchase. I'm glad I did. I have a suggestion, how about a dark charcoal version in the same material s the blue, that would work, surely?